Most of the Vauxhall/Opel vehicles found in the UK today use one of two key systems, the standard double sided cylinder key or the laser cut key. Both these types of key can be supplied as a standard plastic top key or as a central locking remote key. The standard cylinder key found on many vehicles today was first introduced around 1994 and were used until 2004. This key uses 10 positions with depth cuts from 1-4. The laser cut key is Vauxhall’s latest design and consists of a flat steel blade which is milled through the centre of the blade creating a “wavy line”. This type of key was introduced around 2005 and uses 8 positions with depth cuts from 1-4. At Devon Car Keys we are able to gain entry to Vauxhall’s fitted with either of these type of locks quickly, easily and without any damage to your vehicle, even if the vehicle is deadlocked. We do not wedge the door and frame apart and insert wires into the vehicle to pull handles, which can damage the vehicle paintwork, nor do we insert wires into the door cavity as there is a risk of damage to the linkage arms which operate the locking mechanism. 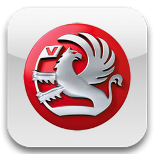 In the event of you losing all your Vauxhall spare keys we can quickly and easily decode your lock with our specialist equipment without the need for the lock to be removed from the vehicle, and cut a working key ready to program within 5 minutes. With our specialist diagnostic equipment we can program new keys to your vehicle at the roadside, so no need for the vehicle to be recovered to the dealer. Most Vauxhall/Opal vehicles require a pin code to program new keys, this was issued with the vehicle when new on a security pass card, if this is lost we can read some codes with our diagnostic tester, alternatively we can obtain the codes without the need for you to produce the vehicle documentation at the dealer.